Libbie Mill - Midtown welcomes Solidcore Gym! Henrico-based Gumenick Properties is pleased to announce that Solidcore, a high-intensity fitness studio, has leased approximately 2,000 square feet in the Penstock Quarter building located at 5001 Libbie Mill East Blvd, adding to the growing list of retail services moving to Libbie Mill – Midtown. Peter Vick and Harrison Hall of Divaris Real Estate, Inc., represented Gumenick and Sean Young of Sabre Real Estate Group represented Solidcore. The Washington, D.C.-based Solidcore was founded in 2013, and now has 44 studios in cities across the nation and plans for further growth. The company offers a unique, 50-minute, high-intensity, full-body workout where clients use a machine specifically built for Solidcore that leverages spring loads for resistance. The equipment strengthens the entire body through a series of slow controlled movements with quick transitions. Classes are capped at 15 people, ensuring each client receives personal attention and individualized coaching. Solidcore’s clients come from all walks of life, including professional athletes, weekend warriors, stay-at-home moms, CEOs and former First Lady, Michelle Obama. In addition to Solidcore, progress continues at Libbie Mill – Midtown with the construction of the new Crafted Restaurant, projected to open this summer, and the buildout of Lumber Liquidators office headquarters. Plus, leasing demand is strong at Penstock Quarter, a new 327-unit apartment community that opened in December. These developments along with sales of new townhomes and condominiums, and the marketing of Harp’s Landing, a six-story Class-A office building to be built next to the Libbie Mill Library, exemplify Gumenick Properties’ plans to make Libbie Mill – Midtown the anchor to the growing midtown community. Food Truck Thursdays are back May 30th! Food Truck Thursdays are back at Libbie Mill - Midtown! Join us on May 30th for our first food truck of the year. Check out our Facebook Page for a full calendar of food trucks and events at Libbie Mill. Penstock Quarter Apartments - Now Open! Penstock Quarter is now open and taking applications for immediate move-in. Call 804.521.5325 for more information or visit PenstockQuarter.com. In this bonus mini-episode of the Midtown Minute, Karen and Diane (Senior Regional Property Manager for Gumenick) talk about the exciting studio-apartment options available in Penstock Quarter. You’ll also get an exclusive first look inside some of our currently-available studio units, all of which feature the same finishes, amenities, and commitment to quality as our one and two bedrooms. Take a look now before Penstock Quarter opens up in early December. Crafted is the brand new restaurant coming to Libbie Mill – Midtown. For this episode of the Midtown Minute, Karen traveled out to Marty’s Grill to talk with owners Michael and Justin about what we can expect when Crafted opens at Libbie Mill early next year. HENRICO CO., VA., October 25, 2018 –Henrico-based Gumenick Properties is pleased to announce Lumber Liquidators has signed a long-term lease for space in Libbie Mill - Midtown, solidifying plans to relocate its corporate headquarters from Toano, VA to Richmond. Lumber Liquidators will take possession of the 53,000 square foot Bakers Mill building in October 2019. Approximately 200 employees will support Lumber Liquidators’ nationwide retail activity from their new headquarters. The company’s search for a new location lasted several years and included many cities throughout the Commonwealth of Virginia and into North Carolina. region – there is strong interest in first-class office space in the midtown area,” said Skip Nash, vice-president, property management at Gumenick. Continued strong sales of townhomes and condominiums. The pre-leasing of apartments at Penstock Quarter, a 327-unit mixed-use apartment community. The opening of fitness center 9Round. The recently signed lease with Crafted, a restaurant scheduled to open spring 2019 in the Emmer Row Building located at 4900 Libbie Mill East Boulevard. The pre-leasing of Harp’s Landing, a Class-A office building to be built next to Libbie Mill Library. “The addition of Lumber Liquidators’ corporate headquarters and their staff will certainly add to the vibrancy of our community at Libbie Mill - Midtown,” added Nash. In 2013, Gumenick Properties broke ground on Libbie Mill-Midtown, a mixed-use, walkable community located at Staples Mill Road, Libbie Avenue and Interstate 64 in Henrico County. This 80-acre, in-fill development is the largest revitalization project in Henrico County’s 400-year history. The community features a walk/bike nature trail, a lake and pier, a pavilion, townhomes, condominiums, apartment residences, shops, restaurants, and a state-of-the-art public library. Libbie Mill-Midtown is the newest development from Gumenick Properties, an award-winning real estate development and management company that owns and operates investment properties in Florida and Virginia. Founded in the late 1940s, the company engages in two primary lines of business – apartment and commercial development and operations and homebuilding. Learn more about Libbie Mill-Midtown and Gumenick Properties at https://www.libbiemill.com and https://gumenick.com. 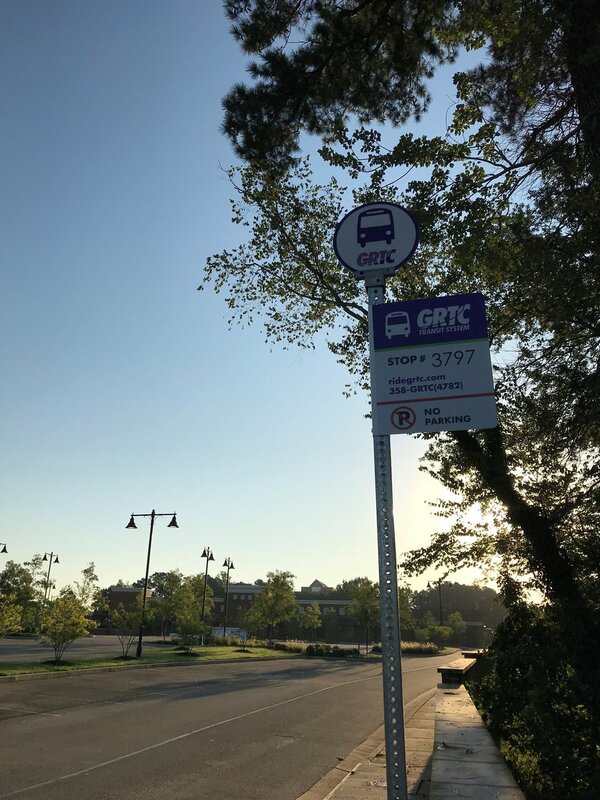 GRTC has officially begun operating bus services to Libbie Mill - Midtown! The route through our community will operate from 6:30 a.m. to 7:45 p.m.
HENRICO CO., VA., August 27, 2018 – Henrico-based Gumenick Properties is pleased to announce a new restaurant is coming to the Libbie Mill – Midtown community. The restaurant, with a name soon to be announced, has leased approximately 6,000 square feet in the building located at 4900 Libbie Mill East Boulevard, adding to the growing list of retailers moving to the new urban mixed-use development. Cohan runs two successful restaurants, Marty’s Grill and Riverbound Café, and the craft brewery Brewville, all in Mechanicsville, VA. “We’ve had great success in Mechanicsville and are excited about expanding,” remarked Cohan. “We are delighted more people across metro Richmond will be able to experience our cuisine thanks to Libbie Mill-Midtown’s central location.” The restaurant is planned to open in the Spring of 2019. The addition of a new restaurant at Libbie Mill - Midtown comes on the heels of Lumber Liquidators announcing its intent to relocate its office headquarters there. These plans along with continued sales of new townhomes and condominiums, pre-leasing of apartments at Penstock Quarter, a new 327-unit apartment community, and the marketing of Harp’s Landing, a six-story Class-A office building to be built next to the Libbie Mill Library, exemplify Gumenick Properties’ efforts to make Libbie Mill – Midtown the anchor to the growing midtown community. In 2014, Gumenick Properties broke ground on Libbie Mill-Midtown, a mixed-use, walkable community located at Staples Mill Road, Libbie Avenue and Interstate 64 in Henrico County. This 80-acre, in-fill development is the largest revitalization project in Henrico County’s 400-year history. The community features a walk/bike nature trail, a lake and pier, a pavilion, townhomes, condominiums, apartment residences, shops, restaurants, and a state-of-the-art public library. HENRICO CO., VA., July 31, 2018 – Gumenick Properties recently signed a letter of intent to lease approximately 53,000 square feet to Lumber Liquidators for its corporate office headquarters in Libbie Mill - Midtown, a mixed-use development in Henrico County. The national hardwood flooring specialty retailer intends to move to its new location, which will be in the former Southern Season building, by the end of 2019. Growth is accelerating at Libbie Mill - Midtown, an 80-acre property that Gumenick is developing with the design principles of new, urban mixed-use neighborhoods. Continued strong sales of new townhomes and condominiums, last week’s start of pre-leasing apartments at Penstock Quarter, a 327-unit mixed-use apartment building scheduled to have its first residents in November 2018, and the marketing of Harp’s Landing, a six-story office building planned to be built next to the Henrico County Libbie Mill Library and overlooking Libbie Lake are all demonstrations of this strong growth. Libbie Mill-Midtown is bound by Libbie Avenue, Staples Mill Road and Bethlehem Road, with close access to I-64 and West Broad Street. To learn more, view LibbieMill.com. Lumber Liquidators is North America’s largest specialty retailer of hardwood flooring with more than 400 locations. The company features more than 400 varieties of floors in the latest styles, including solid and engineered hardwood, bamboo, cork, laminate, waterproof vinyl plank, and wood-look tile. Additionally, Lumber Liquidators provides a wide selection of flooring enhancements and accessories to complement, install, and maintain your new floor. Every location is staffed with flooring experts who can provide advice, pro services and installation options for all of Lumber Liquidators' products, much of which is in stock and ready for delivery. For more information, please visit LumberLiquidators.com. Based in Henrico County, Gumenick Properties is an award-winning real estate development and management company that owns and operates investment properties in Florida and Virginia. Founded in the late 1940s, the company engages in two primary lines of business – apartment and commercial space development and community operations, and homebuilding. Learn more about Gumenick Properties and Libbie Mill-Midtown at gumenick.com and libbiemill.com. 9Round Hosting Grand Opening Open House Events! HENRICO CO., VA., July 3, 2018 – Henrico-based Gumenick Properties is pleased to announce the opening of 9Round Fitness, the latest commercial retail tenant at Libbie Mill - Midtown. 9Round is one of the fastest-growing franchise organizations in the world, having opened over 700 gyms in three years. The location at 4900 Libbie Mill East Blvd. is its fourth in the Richmond-Petersburg area. Regular business hours at the Libbie Mill location will include mornings and afternoons/early evenings Monday through Friday and Saturday mornings beginning Monday, July 9. Before then, curious fitness enthusiasts and anyone who wants to get in shape can visit 9Round at Libbie Mill this Thursday July 5 from 4-8 p.m. and Saturday, July 7 from 9 a.m.-1 p.m. Staff will be on-hand to show you the gym and explain the workout. 9Round offers a full-body high-intensity interval workout in a kickboxing format. Members spend three minutes at each of nine stations, with active rests in between, for a total of 30 minutes per workout. The activities at each station change daily. 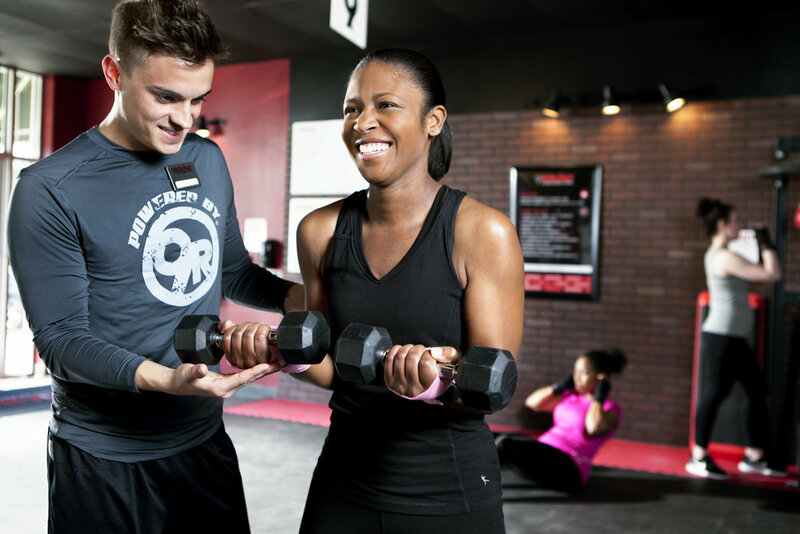 There are no set class times and certified trainers are always on-site to help members. In addition, 9Round provides heart rate training and nutrition education. Memberships are $99/month with a limited number of charter memberships available before July 9 for $69/month. “We are excited to bring this new way of getting and staying fit to midtown and expect to draw members not only from Libbie Mill, but also from the entire region,” says franchise owner Jessica Braswell. To learn more visit 9Round.com or call 804-415-6699. Founded in 2008 by professional kickboxer Shannon Hudson and his wife, Heather, 9Round is a specialized fitness center that brings kickboxing fitness training to the average person in a convenient, affordable, 30-minute, full-body, circuit format. The program is developed around a proprietary and copyrighted system of nine challenging workout stations developed by Shannon himself. Learn more about 9Round Fitness at https://www.9round.com. HENRICO CO., VA., June 29, 2018 – Henrico-based Gumenick Properties has begun leasing space in its newest commercial office building to be constructed at Libbie Mill-Midtown. Offering 142,000 square feet of Class A office and retail space, Harp’s Landing at Libbie Mill-Midtown office building is planned to be available for occupancy in 2020. Harp’s Landing, with a glass, steel and brick exterior, will feature five floors of office space over a ground floor of retail and/or office space. Floor-to-ceiling windows will provide tenants with views of Libbie Lake and the park-like, recreational setting that is the heart of Libbie Mill-Midtown. In addition, Harp’s Landing is planned to have ground level retail and will have garage parking with covered pedestrian access to the building entrance. HKS is the architect for Harp’s Landing. Several businesses already call Libbie Mill–Midtown home, including Marsh & McLennan and Richmond Memorial Health Foundation. Gumenick’s Nash says Libbie Mill – Midtown’s current masterplan includes up to one million square feet of commercial space which will make it one of the largest employment centers in Central Virginia. 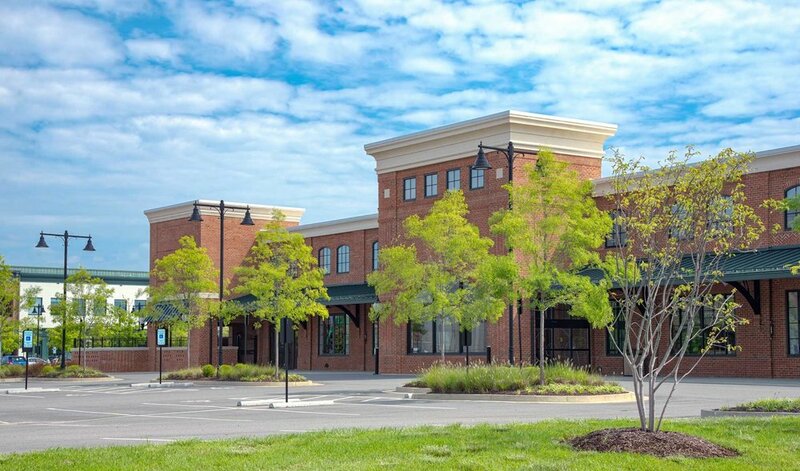 Leasing for Harp’s Landing at Libbie Mill-Midtown is being handled by CBRE|Richmond. In 2014, Gumenick Properties broke ground on Libbie Mill-Midtown, a mixed-use, walkable community located at Staples Mill Road, Libbie Avenue and Interstate 64 in Henrico County. This 80 acre, in-fill development is the largest revitalization project in Henrico County’s 400-year history. The community features a walk/bike nature trail, a lake and pier, a pavilion, townhomes, condominiums, apartment residences, shops, restaurants, and a state-of-the-art public library. Learn more about Gumenick Properties, Libbie Mill-Midtown and Harp’s Landing at https://gumenick.com and https://www.libbiemill.com. It is with great excitement that Libbie Mill - Midtown congratulates Walter Bundy and Shagbark Restaurant on achieving a AAA Four Diamond rating! AAA only awards the Four Diamond designation to 2.1% of the restaurants they audit. Libbie Mill - Midtown is very proud to have Shagbark as part of our growing community. If you haven't had the chance to dine in this fantastic restaurant or even stop by for an after work brew, make sure it is on your to do list! In the coming weeks we will be announcing an exciting and welcome new restaurant addition to our community. Stay tuned for more details! We are thrilled to welcome Salon 33! Salon 33 is an AVEDA Salon in Richmond, Virginia, dedicated to delivering high-quality services in a relaxing, fun environment. Just in time for the holidays, they are stocked with lots of AVEDA goodies great for gifting. Stop by to check out their new space!